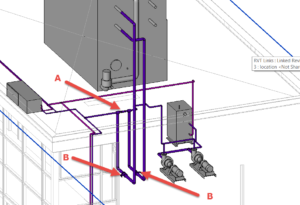 After passing through a boiler, a hydronic supply needs to be to be optionally routed through an evaporative cooling tower. 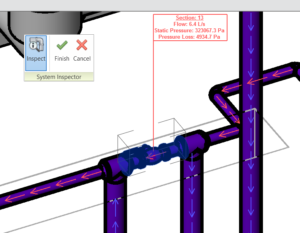 How should the connectors on components be defined such that system type and flow is propagated to correctly show in the System Inspector? 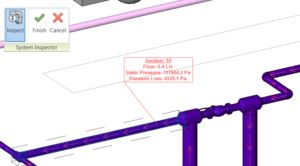 Routing is achieved using valves (Pipe Accessory Families). Two valves are of interest here. A ball valve that lets the fluid through and a bypass valve that doesn’t. 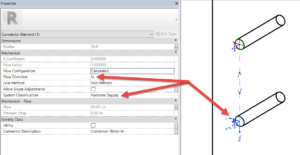 If cooling is required, valve “A” is set to Bypass, and valves “B” to Ball Valve. If no cooling is required the type allocation is reversed. Both ball valve connectors are assigned to the “global” system and linked together. 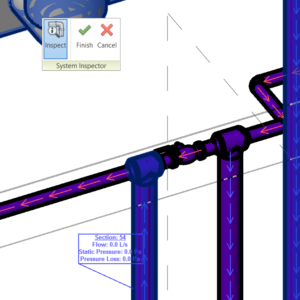 Revit will therefore discern the system type, flow direction and flow values automatically. http://help.autodesk.com/view/RVT/2017/ENU/?guid=GUID-ED50E6C8-F71C-4AF8-AB4B-113A93C3F541. One connector has its direction assigned as input and the other as output. 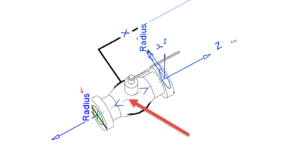 The bypass valve is defined in the same manner as the ball valve, except that both connectors have their directions assigned as input. This causes no flow through the linked connectors. Looking at the Cooling tower (a Mechanical Equipment Family), one of the linked connectors is assigned the system (Hydronic Supply) and a direction (In). The other connector is assigned to the system (Global) and the direction (Out). 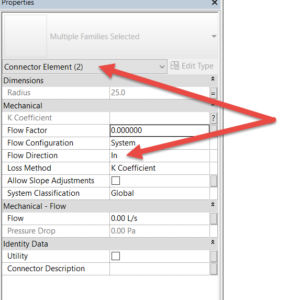 The reason why one of the connectors is assigned a system (Hydronic Supply) is that, were they both set to Global and connected to pipes in a system, the mechanical equipment shows up in the system browser as the correct system classification, but as unassigned! 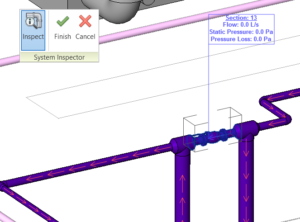 The setup now displays correctly in the system inspector. The case below illustrates bypassing the cooling tower. If, when editing the system, problems are encountered, I recommend cutting the mechanical equipment (cooling tower) to clipboard, and then pasting it back into place again and reconnecting it.